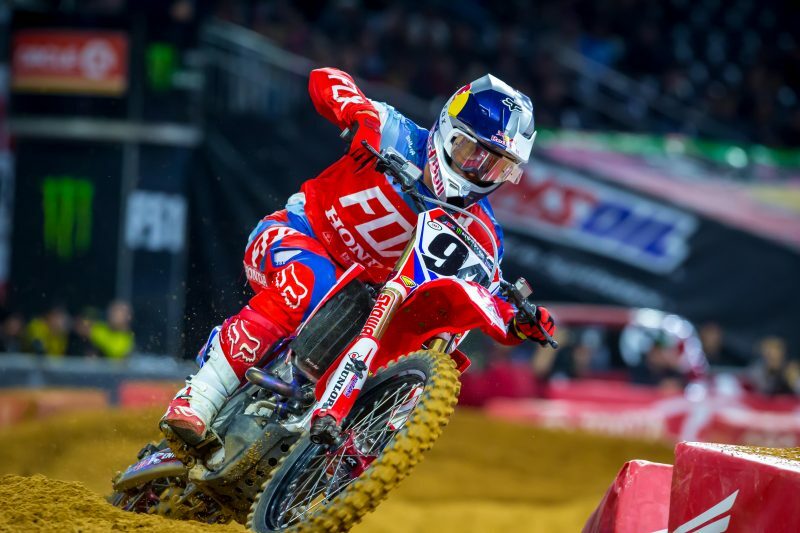 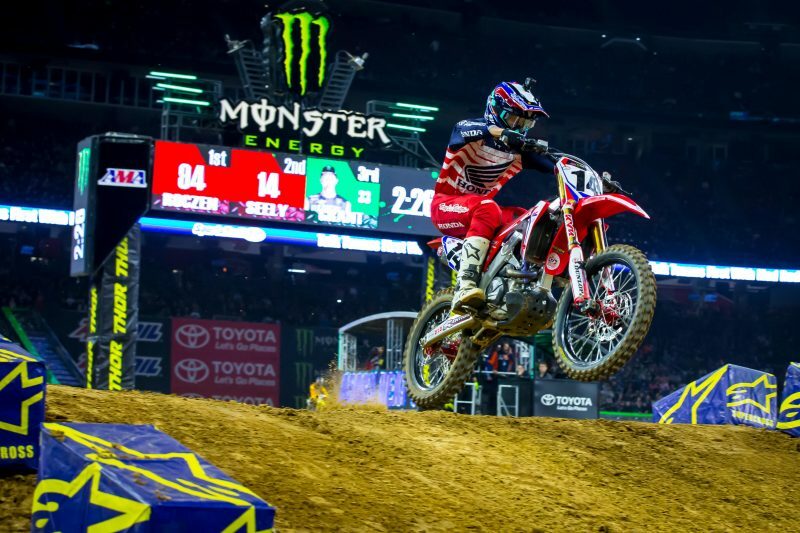 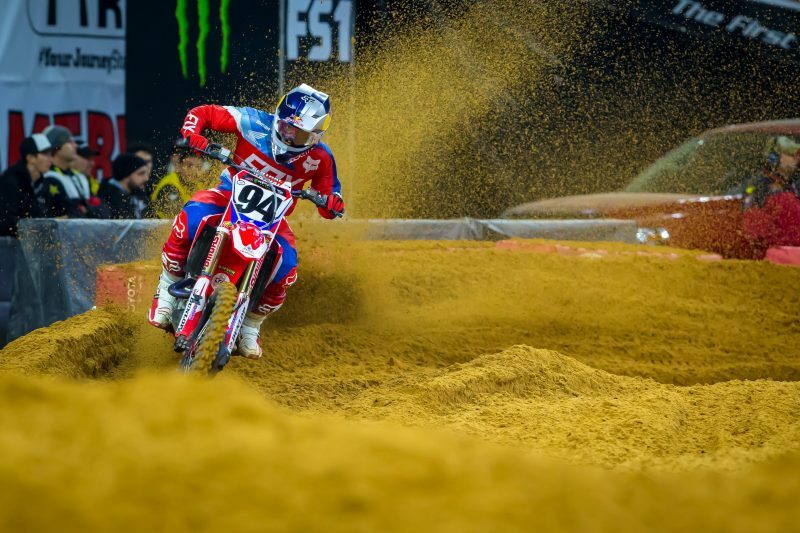 Round 2 of the AMA Supercross series, held at Houston’s NRG Stadium, was an exciting one for Team Honda HRC, as Ken Roczen put together an impressive ride, leading much of the main event and finishing second in only his second race back after nearly a year off due to injury. 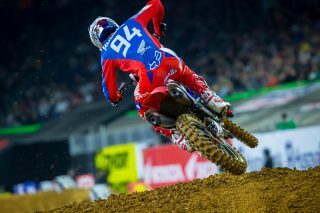 When the gate dropped, the German launched his CRF450R to an upfront start, taking over the lead on lap two. 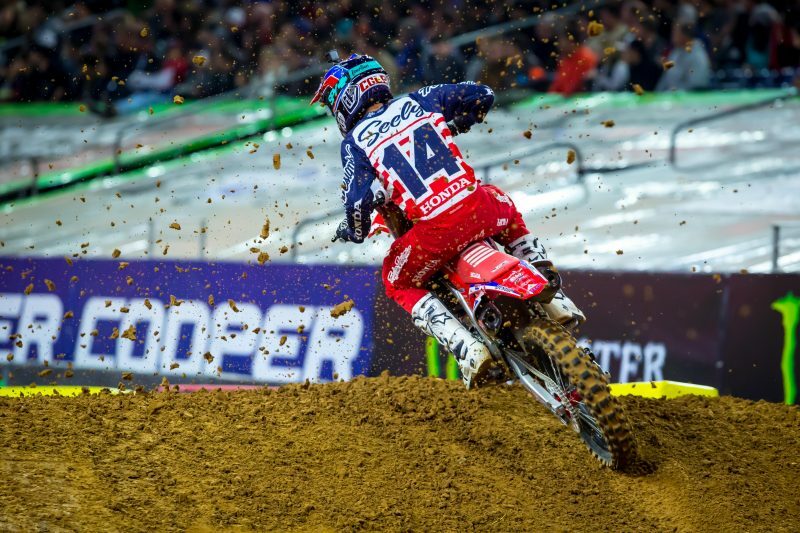 On lap 14, Roczen relinquished the lead but rode smoothly and prudently to take the checkered flag in second place. 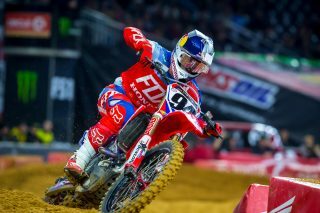 Teammate Cole Seely also had a noteworthy night, improving on his result from Anaheim to score fourth place. 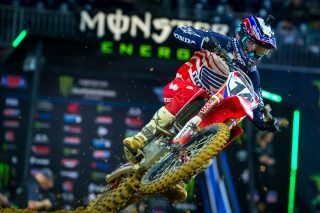 Following a top-five start, Seely quickly moved into fourth, then engaged in a heated battle before taking over third. 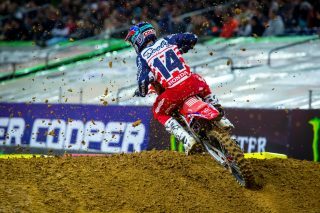 It looked as though the Californian may join his teammate on the podium, but after eight laps he fell back to fourth, which is where he finished. 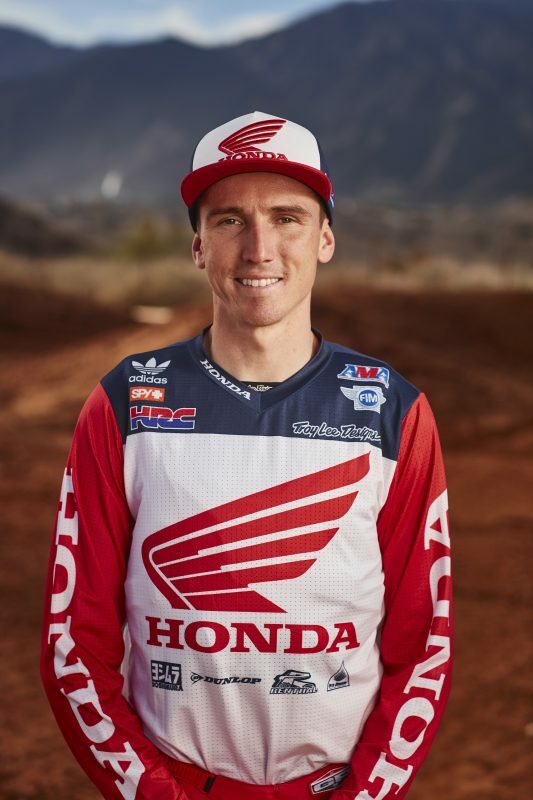 Prior to Saturday’s action, Team Honda HRC’s Ken Roczen and Cole Seely joined GEICO Honda’s Jeremy Martin, Christian Craig, and Chase Sexton for an appearance at Wild West Motoplex to hang out with fans and sign autographs at their pre-race Supercross party. On Saturday morning, Red Rider Adam Enticknap (No. 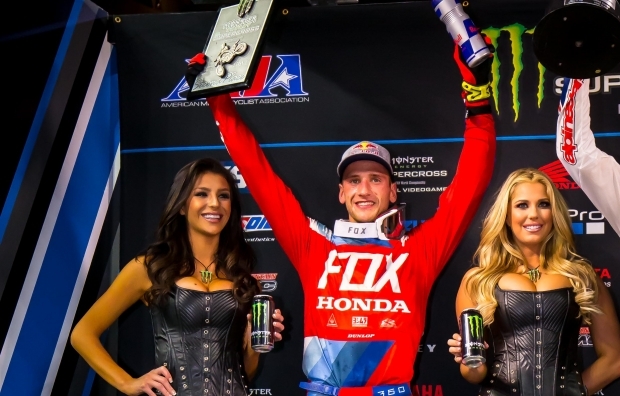 722) presented Roczen with the fan-voted “Seven Deuce Deuce Pulp MX” Lit Kit Award for his custom Anaheim 1 Fox gear, which was all-white with multi-colored left arm. 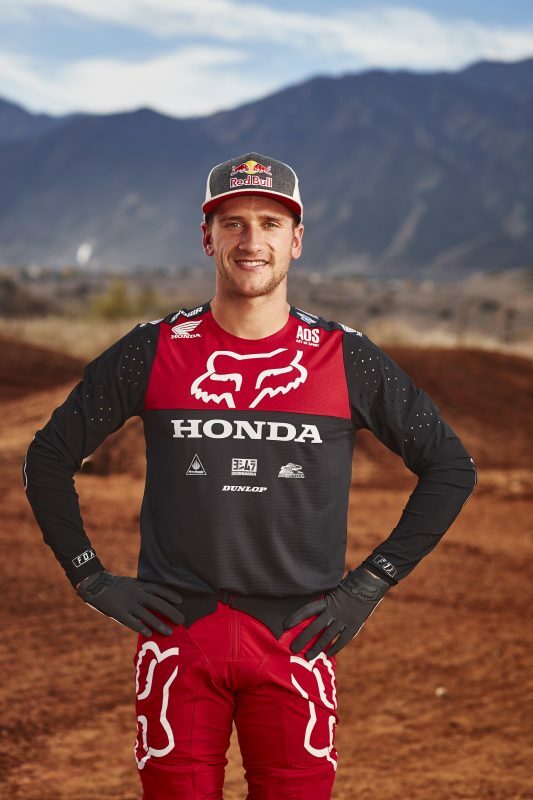 During Saturday’s timed qualifying sessions, Roczen was again the top Honda racer, laying down a 53.418” lap in the second session to score the second-fastest time of the day, while teammate Seely was fourth-quickest with a 53.527”. 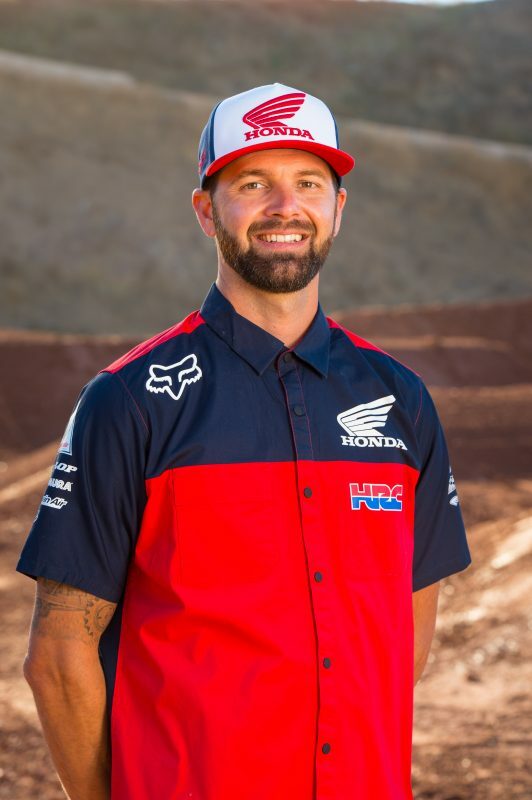 MotoConcept Honda’s Justin Brayton secured fifth, followed by GEICO Honda’s Jeremy Martin in sixth and MotoConcepts rider Vince Friese rounded out the top 10. 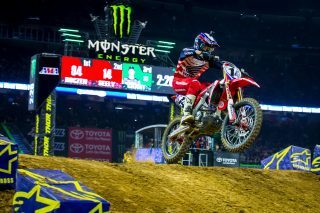 In the evening program, Roczen and Seely finished 1-2 in the first heat race, transferring them both directly into the main event. 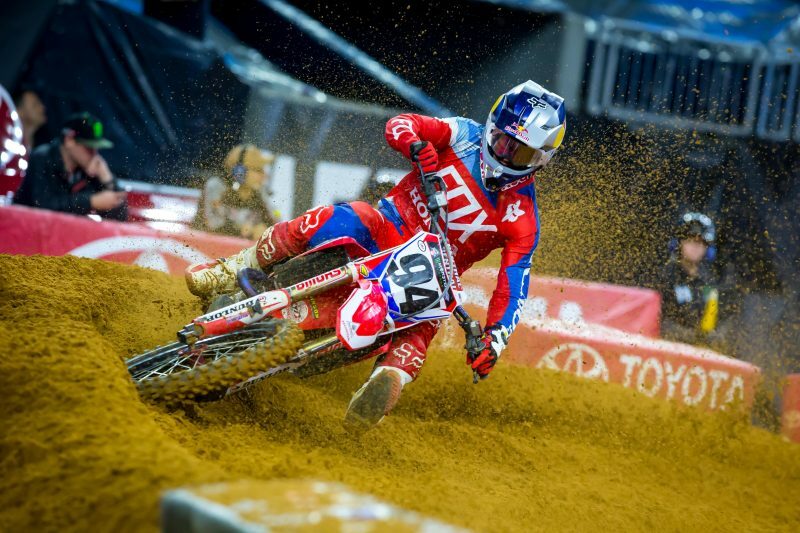 While leading, Roczen laid down the quickest lap of the race with a 53.552”. 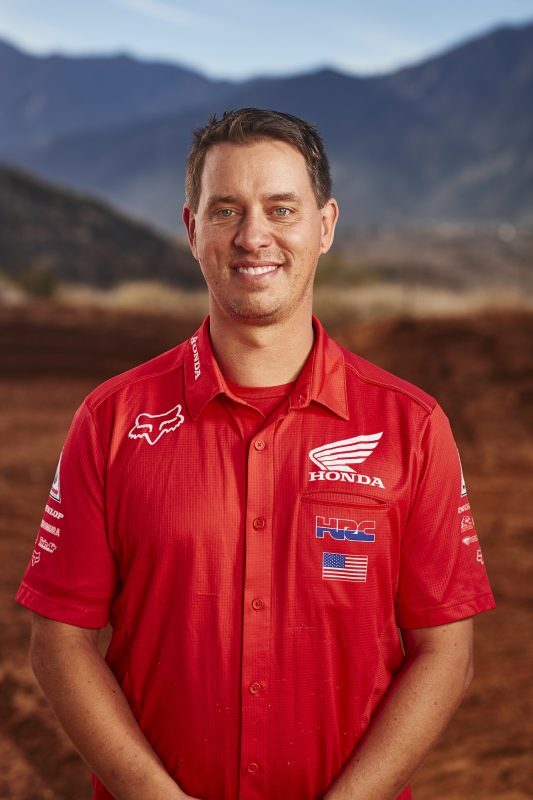 For the second consecutive week, Honda had the most bikes of any manufacturer finishing in the top 10 of daytime qualifying and the main event. 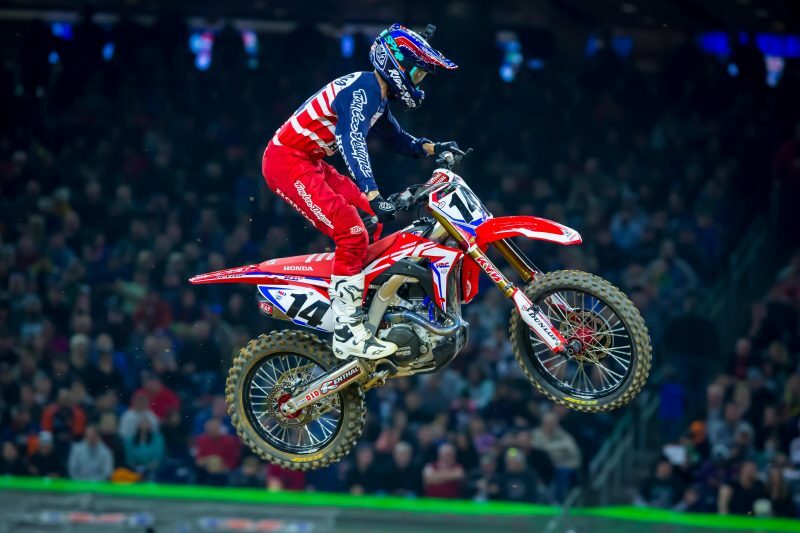 It was a solid night for the GIECO Honda team, as rookie Chase Sexton finished second in his heat before scoring his first-ever podium result in the main event with a third. 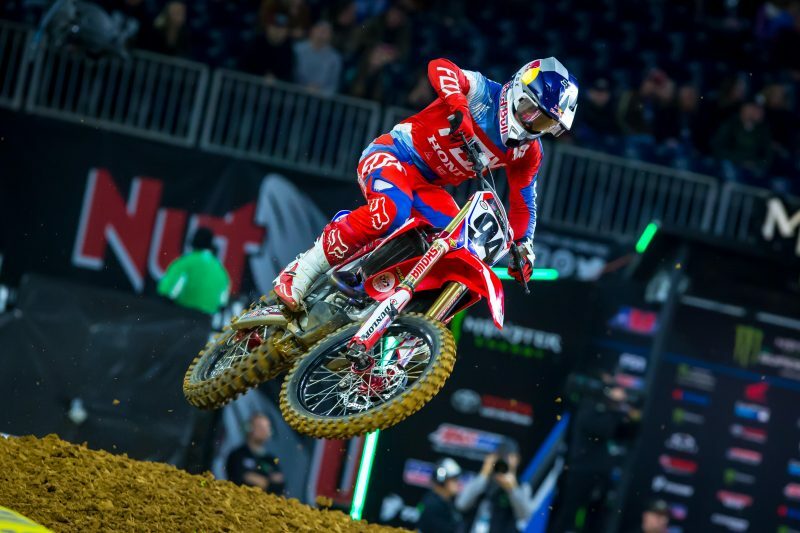 Despite an injured ankle, teammate Christian Craig put together an impressive performance, taking the checkered flag in fifth. 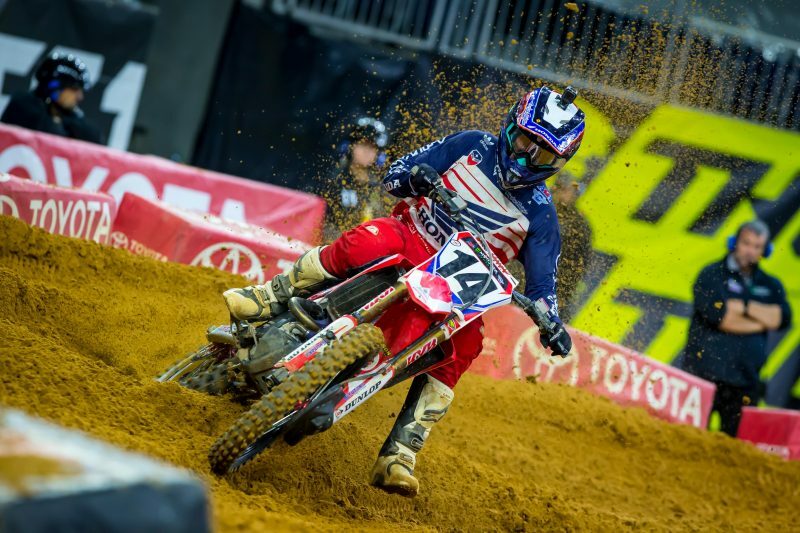 During his second of three scheduled appearances in the 450SX class, Jeremy Martin overcame a mishap on the first lap of the main that saw him go off the track, rejoin the race in nearly last, and charge forward to finish 10th. 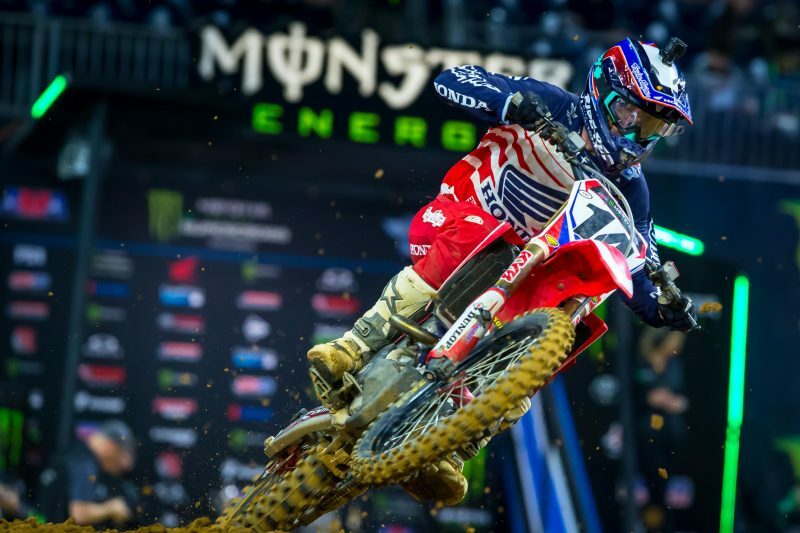 Roczen now sits second overall in the championship standings with 42 points, while Seely is fourth with 36. Next weekend, Team Honda HRC heads back to Southern California for their second and final stop at Angel Stadium of Anaheim. 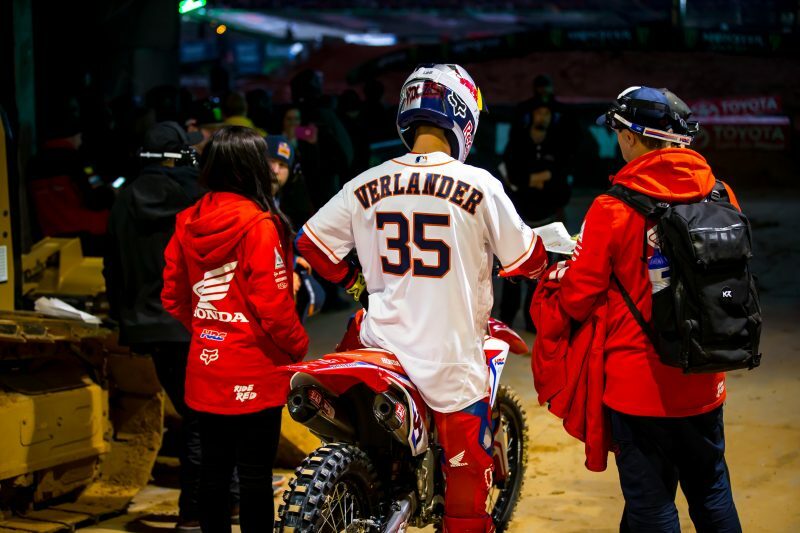 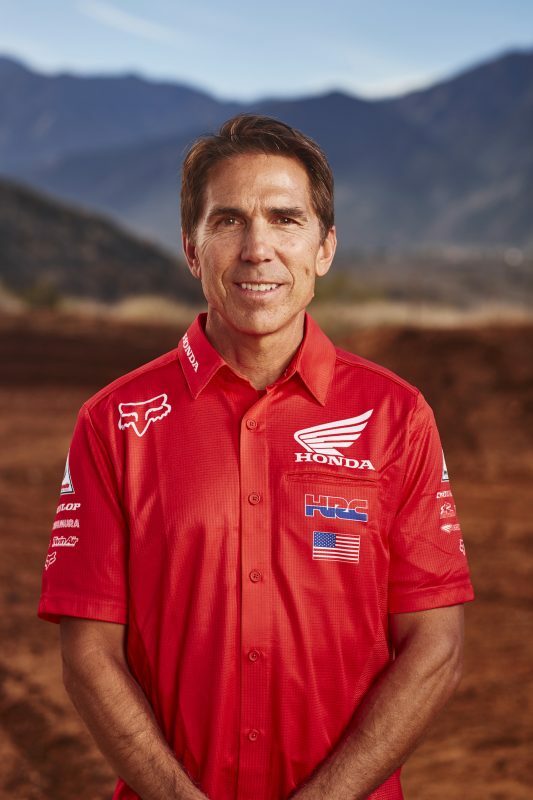 On Friday, the Honda Red Riders will attend an autograph signing at Del Amo Orange County from 6-7:30 p.m.